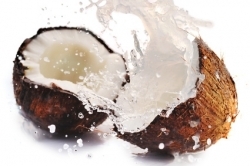 ACTIONETIX | Can Coconut Water Improve Performance? At ACTIONETIX you know our focus is on increasing performance through various means of nutritional manipulation, scientific training techniques and designing supplement programs that are specific to each rider. We firmly believe that being better prepared both physically and mentally is your edge to not only maximize the enjoyment you get from the sport, but to completely outsmart your competitors. Below is the nutritional profile for ZICO Coconut Water, which is one of the more popular brands – note that sodium is very low and potassium quite high. Coconut water naturally has a lot going for it in comparison to many other traditional fluids that motocross/endurocross athletes normally use. Along with some needed carbohydrates and far more potassium than a banana, coconut water also naturally contains four other critical electrolytes – calcium, sodium, magnesium and phosphorous, making it a great option to be worked into any performance diet. Add the fact that many of the coconut water choices that are on the market today are also fat free, and you quickly understand that this drink can be a strong part of an athlete’s success. After breaking down coconut water to this level, our advice is to consider it as part of your pre-practice or pre-race ritual. It also has many positive attributes to help with post race recovery. Mix in a scoop of whey protein isolate right after you finish racing and you have a strong formula for muscular recovery.